In 1948 Chase Products released the first can of hairspray. It caught on quickly, offering women many more hairstyle options. Sales boomed through the 1950’s through the 90’s. Hairspray is still a huge seller, but more and more people are looking for a hairspray alternative. Are you looking for a quick substitute for hairspray? Read on, we got you covered. While hairspray is popular for securing hair and styles, it’s not your only option. In fact, there are many ways to keep hair in place without hairspray. We set out commercial, DIY and natural options below. Mousse is a great hairspray alternative, and if you are looking for a different option because you want to avoid some of the harsh chemicals that are so common in aerosol cans, you will want to pick up some of this product. It is great for helping to define curls and add extra volume to your hair, so if your hair is thin or falls flat shortly into the day, this may be just what you need to combat that. It’s easy to apply when your hair is still damp, and how you apply it will affect the end result that it has on your hair. When you apply mousse to all of your hair and then dry it upside down, you will greatly increase your volume. This is fairly easy to do with a great hair dryer, but it’s important that you don’t use too much or your hair can look greasy. If you have very fine and thin hair, you will only want to apply mousse to the roots of your hair and then use a brush to lift the hair up while you blow dry the roots. This will add a lot of volume without weighing down the strands. To help control your curls, simply rub mousse together in your hands and then spread the product through your hair. You will again want to dry your hair with your head upside down, gently massaging your hair in a circular manner to help encourage your curls to define. While some people like to apply mousse to their hair and then leave it to air dry, this can have the ill-intended effect of making the strands look really greasy. Mousse is a great product, but doesn’t offer the hold that hairspray does, and you have to be very careful with how much you apply to your hair so you don’t weigh down your strands. While it looks great on all lengths and textures of hair, it won’t give the control to shorter styles that hairspray or another product will. Generally used on shorter hairstyles to help tame strands that aren’t doing what you want and to keep the style in shape, hair gel has a stronger hold that makes it a closer alternative to hairspray, but allows you a lot of control over how much of the product you put in your hair. It’s very easy to use – simply apply a dab of gel to your hands and then run your hands through the hair from the roots to the tips. You want to avoid clumps of gel at all costs, as these will dry hard and be obvious to everyone looking at you that you are using this styling product. You can easily achieve a few different looks when you use gel correctly. One way is to apply this product on wet hair and allow the hair to then dry by itself. This can sometimes result in a very wet look that may or may not be what you intended. If your hair is dry and you apply gel, you will be able to easily tame any tresses that aren’t behaving and can quickly spot check your hairstyle to make sure it looks its best. Finally, by working section to section, you can style your hair in a number of ways. From a slicked back look to spikes coming out from the head, all of these are achievable with high-quality gel. 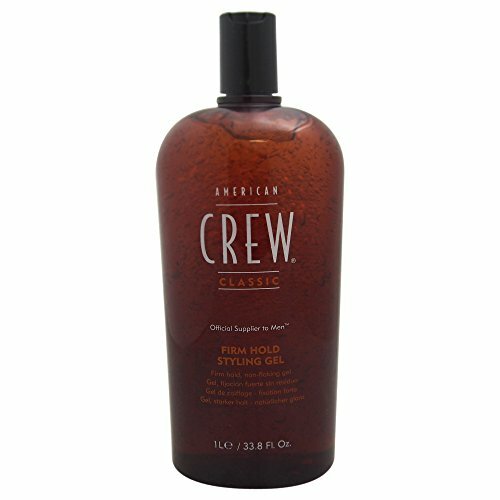 Unfortunately, gel will make your hair hard to the touch, which is one advantage that hairspray has over this product. If you want your hair to be soft and to have some movement, then gel is not the right option for you. However, if you want to make sure your hair isn’t going anywhere after you have styled it, then gel is the perfect choice for your hair. While gel does come in a variety of strengths, you are going to have stiff hair no matter what kind you choose. Unfortunately, some gel will create white flakes when it dries, and these look very unattractive on shoulders. 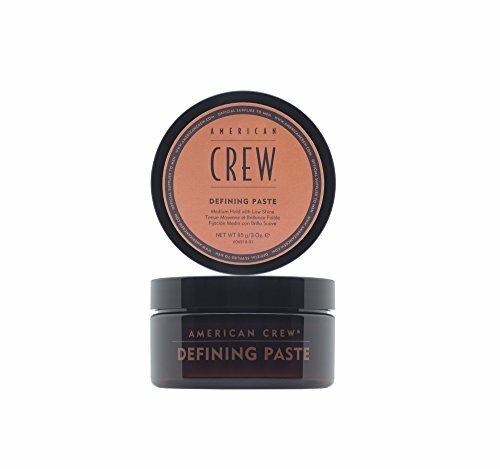 Paste is a great alternative to hairspray if you want to add a little texture to your hairstyle and make it look like you have more volume than you actually do. This is why it’s so popular for women and men who have short and thinner hair, as it can give the illusion of a thick head of hair quickly. While you can use it when your hair is still wet, if you want to make sure you have ultimate hold, it’s generally used on dry hair that needs a little extra style. It beats hairspray in this way, as your hair will still move and look natural, but has nowhere near the same amount of hold as a strong spray does. It generally needs to be warmed between your hands before it is applied, and it washes out as easily as hairspray does. As an alternative, it’s great for adding texture and interest, but does not offer the same type of hold that hairspray does. For a medium hold that will also add volume to your hairdo, clay is the best hairspray alternative available. It can be used on both wet and dry hair, and keeps hair under control without making it particularly shiny. It’s easy to wash out and is great for styling hair, but won’t offer the strong hold you can get with a great hairspray. 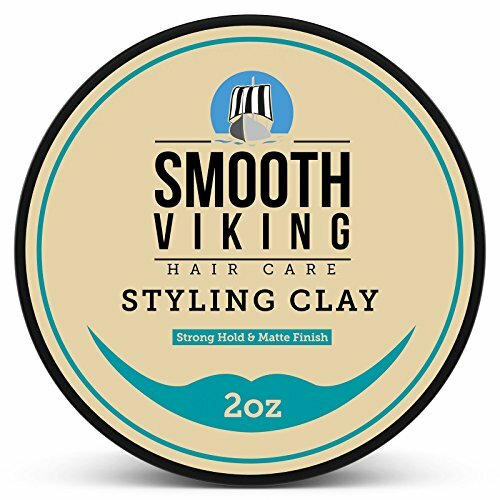 This product is sometimes referred to as “hair wax” or “hair paste”, but no matter the name, you can rest easy knowing that when you use this product, you will be making sure that your hair is textured and under control. Pomade is great for creating a slick look that is also topped with a high shine. 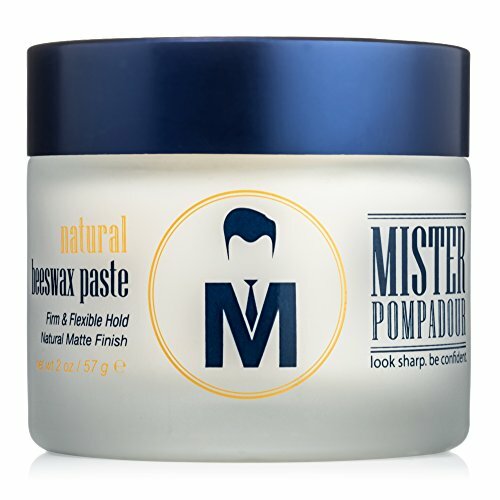 If you are looking to stand out from the crowd and want a very noticeable hairstyle, you will want to use pomade. 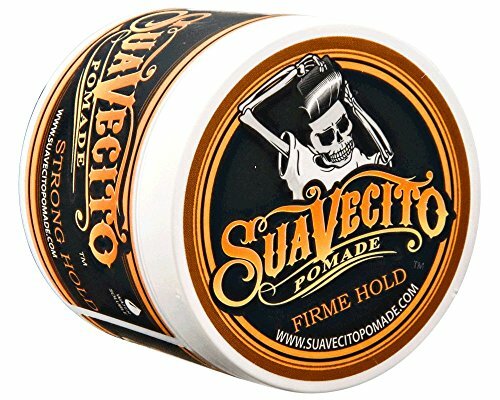 It works great on side parts, pompadours, and other hairstyles that are created and perfected with the help of a comb. It comes in oil and water-based options, and both have their benefits. Oil pomade will last longer and give you more shine, but is very difficult to wash out, while water-based pomade doesn’t give the classic shiny look that many people love, but is easy to wash out. For a style that won’t move, no matter what you do, pomade beats hairspray, but for easy of application and ability to change the style, hairspray comes out on top. Women who have long and curly hair usually feel like they have to have hairspray to be able to control their locks, but with the right recipe it’s easy to keep the curl all day long and make sure the hair stays where you want it to be by creating this great hairspray alternative. This is perfect for a light hold that will also add a little shine to your lock. Mix together equal amounts of coconut oil and shea butter and add in enough lavender essential oil for a light and refreshing scent. It’s important that you fully whip these ingredients together using a hand mixer or it will not be light and fluffy. After it is full of volume you can easily apply it to your hair, making sure you don’t weigh down your strands. 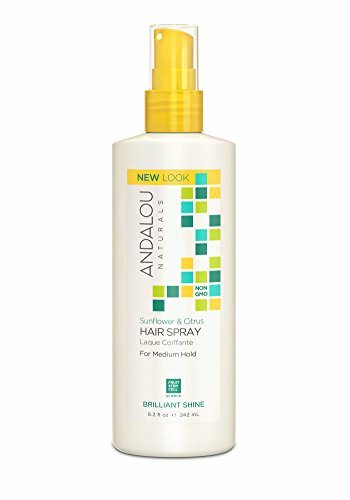 It works great no matter how humid the day is and ensures your hair stays in place, without the harmful effects of hairspray. This can be stored in the refrigerator while you use just what you need, warming it slightly in your hands before applying it to your strands. Women who are a little more active or want to make sure their wild hair is tame all day long will want to include some gelatin in their mixture. Begin by heating half of a cup of water on the stove until it is simmering, and then stirring in just ¼ of a teaspoon of gelatin. Once the gelatin has completely dissolved, you can add essential oils such as lavender, chamomile, or even rosemary for a light scent that will last all day. It’s important that the mixture has a chance to cool completely before you add it to your hair, but once it is cool it can be used in one of two ways. It’s perfect to apply when hair is still a little damp and you want extra control or after the hair is styled to make sure there are no pieces of hair that will try to escape the style. If your hair is particularly unruly, you will want to double the gelatin you add to the water. Just be sure that it is totally dissolved before you remove it from the heat. This mousse lasts perfectly in the refrigerator for a long time before you need to make more. Gelatin can help strengthen and heal damaged hair, which is a huge benefit over regular hairspray, and this DIY mousse is as strong as any kind you can buy in the store. The chemicals that are present in traditional hairspray can greatly damage tresses, but this alternative is fast to whip up and offers all-day hold. The kind of citrus you use will depend on the color of your hair – lemon for blonde hair and orange for darker hair. Boil a cut up piece of citrus in 2 cups of water until the water reduces down to just half a cup. Carefully strain out the pulp from the fruit and allow the water to cool. Use about 8 drops of your preferred essential oil combined with 2 tablespoons of vodka and mix everything together. It’s best to put this alternative in a pump spray bottle so you can ensure even distribution over your whole head when you use it. Make sure you give the bottle a good shake before you spray it on your hair so the ingredients are well combined. This provides a great flexible hold that will last for a long time during the day. While lemon can lighten darker hair, as long as you use the correct type of citrus, your hair will be fine. This smells great and offers light hold, making it a great alternative to hairspray. This natural gel has a number of uses in the hair, from working as a detangler to promoting hair growth, but one of the most useful applications is to have it define your hair and hold it in the style you chose. As an alternative to hairspray, it also helps keep your strands as healthy as possible, even if you use heat to style and spend long hours in the hot sun. 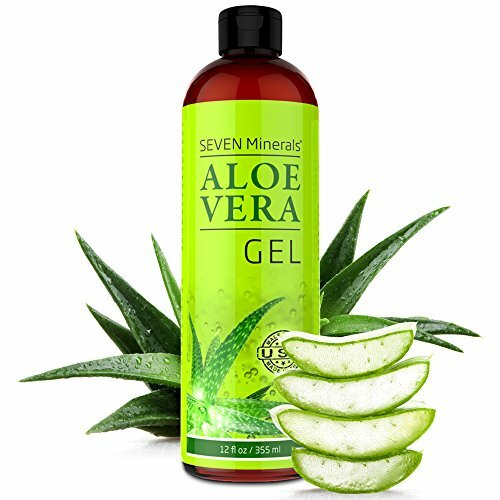 After you have washed and conditioned your hair, you will want to apply a small dollop of aloe gel into the palm of your hands and rub them together. This will allow you to distribute the gel evenly through your hair. You can let your hair air dry as is, knowing that you won’t have to deal with any flyaways during the day, or use a little heat to set the gel. One of the main benefits of using aloe gel is that it easily washed out of the hair and while it is on your strands it will actually help condition the hair, improving the health of all of your locks. If you want to use this as a spray instead of rubbing it through your hair with your hands, then simply mix ¼ cup of aloe vera juice with a cup of water, 2 tablespoons of sugar, and 1 tablespoon of vodka. Boil the water to dissolve the sugar, add the additional ingredients when cool, and shake in a spray bottle. While many people like to whip up whole eggs to use as a hydrating and rejuvenating mask on their hair, by whipping just the whites with a few other ingredients, you can easily make a mixture that doubles as a hairspray while actually improving your hair instead of damaging it. Begin with three egg whites and blend them with a splash of water, ½ cup of aloe gel, and some essential oils. Once the mixture has come together, it can be stored in the refrigerator for up to a month. This mixture has the added bonus that it will not weigh down even the most fine hair and works great to keep frizz under control. By applying it when the hair is damp, you can then let your hair air dry or use a blow dryer to style it the way you want, and you won’t have to worry about your style falling flat due to the strength of the egg whites. Egg whites will actually heal and strengthen your hair, while hair spray will cause it to become more dried out and damaged. On the other hand, you will not be able to get an extreme hold from this mixture. 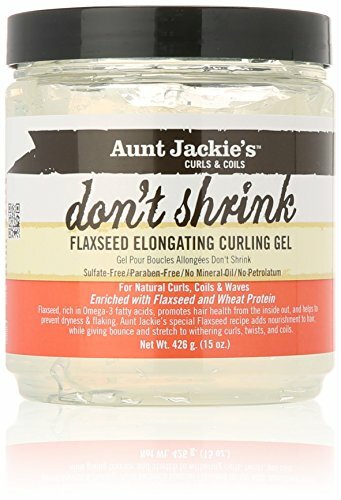 While you can buy products that have flax seed gel in them, by simply soaking flax seeds overnight and then straining out the water, you’re left with a great gel that will hold your hair all day long. Start with one cup of boiling water and stir in ¼ cup of fresh flax seeds. It’s important that you then leave them alone to soak for a full day before straining them so that the concoction will be as strong as possible. If you use room temperature water instead of boiling water, the mixture will not be as strong and you will not experience the great hold you are in need of. Again, it’s up to you if you want to add essential oils to make this gel smell great, but they will not in any way affect how well the mixture works. This mixture should be stored in the refrigerator, where it will last a long time, and you can pull it out as needed to smooth your hair and hold your style. If you use it before touching your hair with a curling iron or straightener, you will notice that your strands hold their new shape very well. This is a strong hairspray alternative that will last indefinitely as long as you keep it covered, although you will have to shake it before use to make sure the alcohol and essential oils are well distributed. While sugar is horrible for your skin, it does a great job holding your hair in place without any dangerous chemicals. This easy recipe involves boiling 1.5 cups of water and dissolving 2 tablespoons of water sugar. Once the sugar is completely dissolved, you will remove the mixture from the heat and allow it to cool to room temperature. Once cool, gently stir in one tablespoon of high proof vodka or rum as well as up to 15 drops of essential oils, if desired. This won’t clog your spray bottle as long as the sugar was sufficiently dissolved, but if you do have problems, you can simply run the pump under hot water. If it doesn’t offer a strong enough hold, you will want to increase the amount of sugar in the mixture until you find your perfect balance. If you have a hair gel you love, you will enjoy being able to turn it into a hairspray. While gel is great for controlling wild strands, if you want an all-over hold, you will need to make an adjustment to the gel or risk weighing your hair down completely with this product. To do this, you will simply need to add a cup of purified water to a spray bottle and then squeeze in a tablespoon of your favorite gel. Shake the bottle vigorously to make sure the ingredients are combined and then you can use it like a regular hairspray. The nice thing about this hairspray alternative is that you can increase or decrease the amount of gel you use in your mixture to get the right hold, from a loose hold that moves with you to something that will keep your hair in place, even while you dance the night away. As a hairspray alternative, this homemade pomade has all of the benefits of store-bought pomade without the unpronounceable ingredient list. It’s a great option if you want more hold than all-natural hairsprays can usually deliver. By melting 2 tablespoons of beeswax pastilles with 3 tablespoons of coconut oil, you begin the base of this strong mixture. Stir in 2 teaspoons of bentonite clay and then add up to 10 drops of your favorite essential oil. Lavender smells great, as does sandalwood. This mixture will last for a very long time. Simply rub a little bit between your hands and use it to style your hair. It’s also great for touching up your hairstyle during the day and making sure your fine strands of hair are kept in place. While it won’t make your hair hard the way that hairspray will, it also doesn’t offer as firm of a hold.